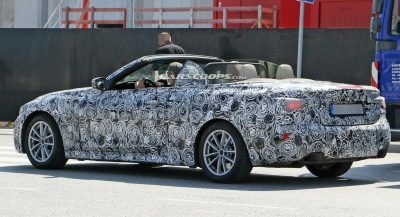 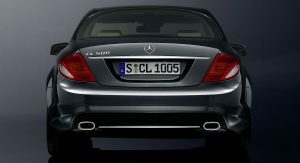 In celebration of the 100th birthday of Mercedes‘ three-pointed star and the Benz emblem, the Stuttgart automaker is launching a special edition version of the CL500 coupe dully dubbed “Trademark Centenary”. Available from June 26 in rear-wheel drive (CL500) and four-wheel drive layouts (CL500 4MATIC), the Trademark Centenary model features special appointments and details including a unique paint finish from the Merc’s designo collection, an AMG Sports package, full leather interior, black piano lacquer trim and a set of the original Mercedes and Benz emblems on lower part of the centre console. 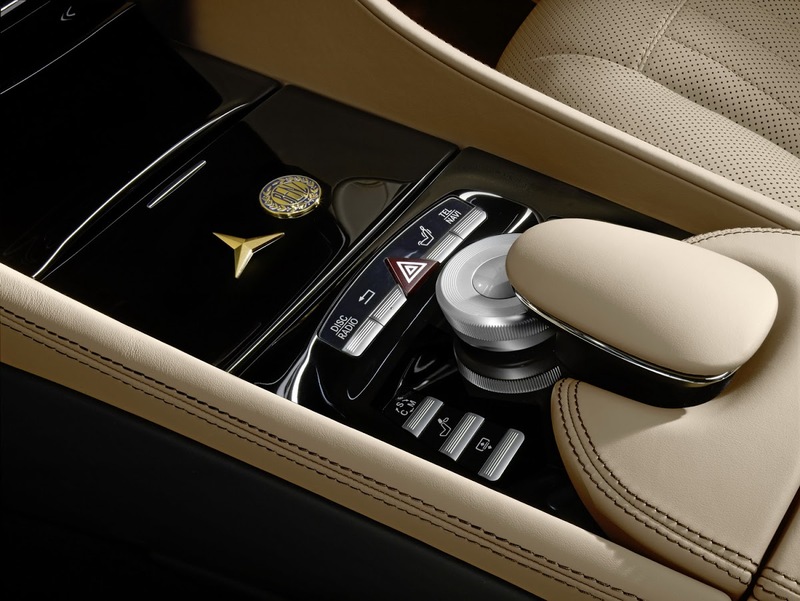 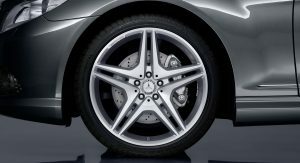 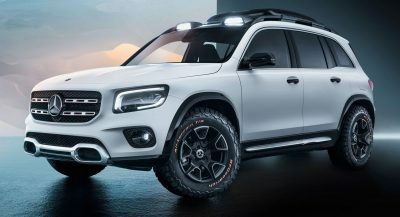 The new AMG Sports package that was officially launched in April adds front and rear aprons, side skirts and sports pedals in brushed stainless steel with black rubber studs, plus painted brake calipers with Mercedes-Benz lettering. 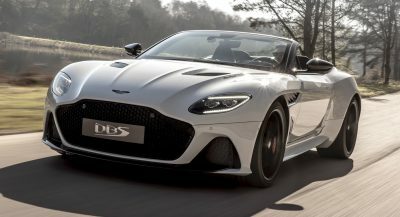 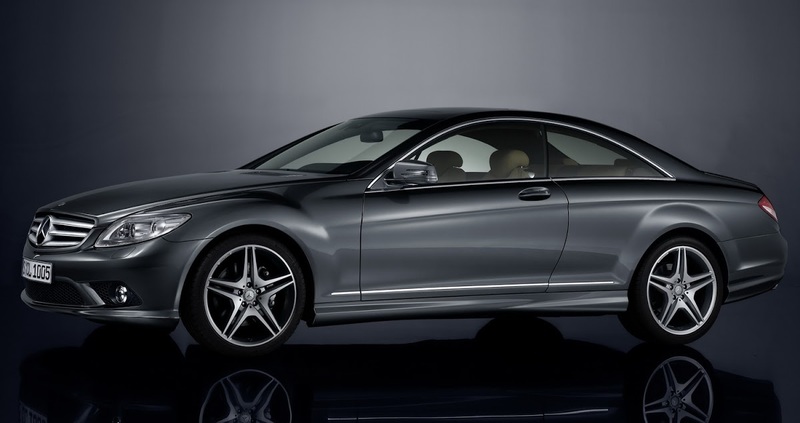 The anniversary edition also comes equipped with unique high-sheen 20-inch 5 twin-spoke AMG light-alloy wheels painted in titanium grey. 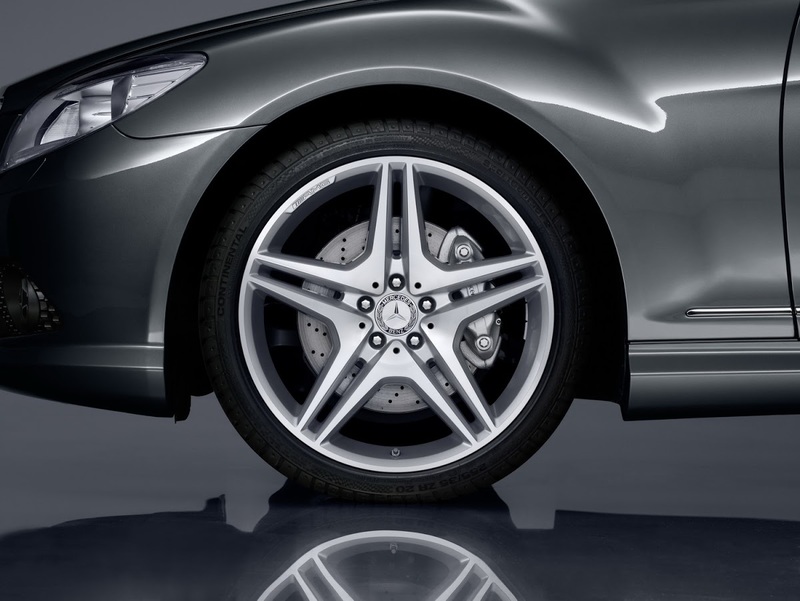 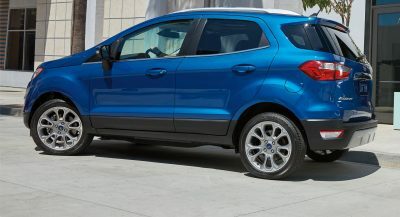 They are shod with 255/35 R 20 tires at the front and 275/35 R 20 at the rear. 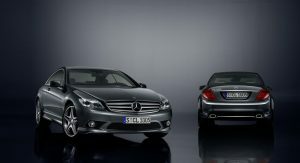 All these extras come at a hefty cost which in this case has been set by Mercedes-Benz at €17,850 (incl. 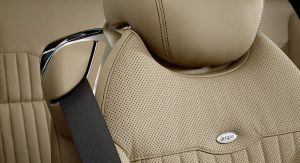 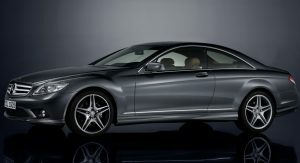 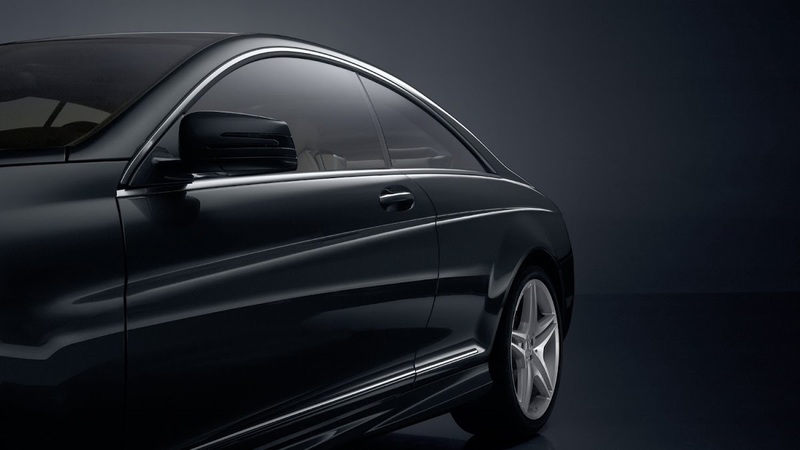 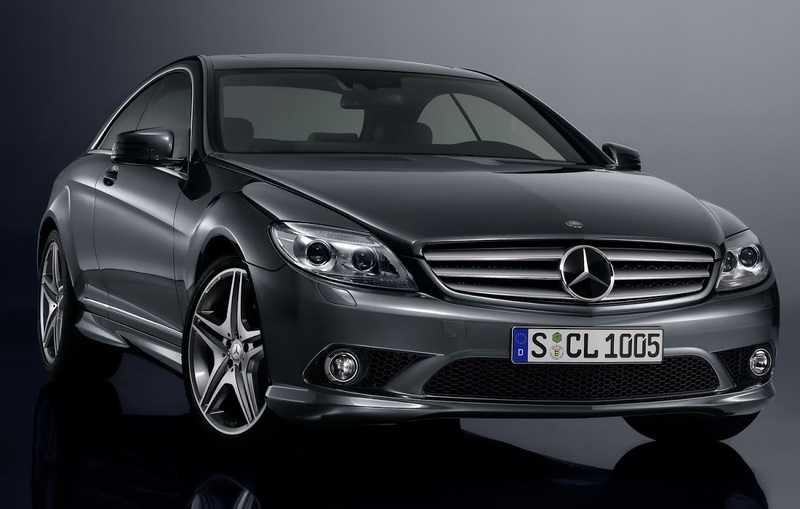 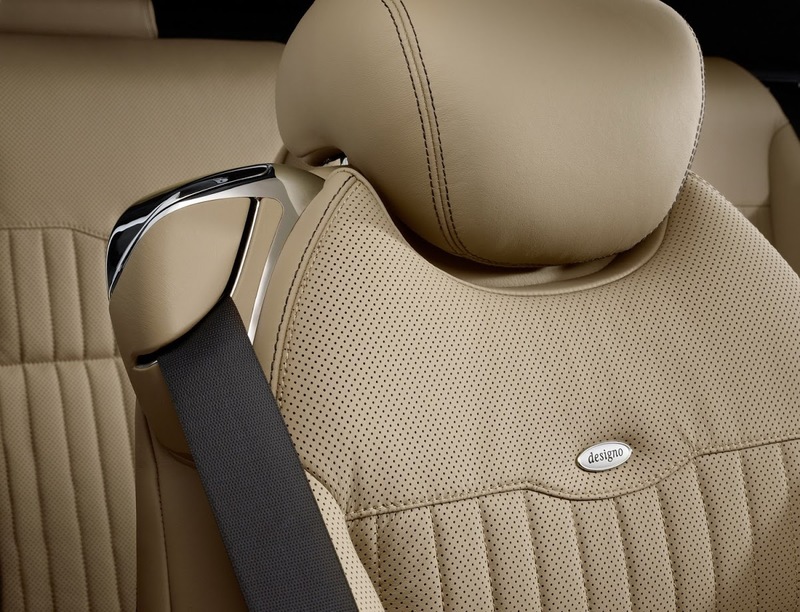 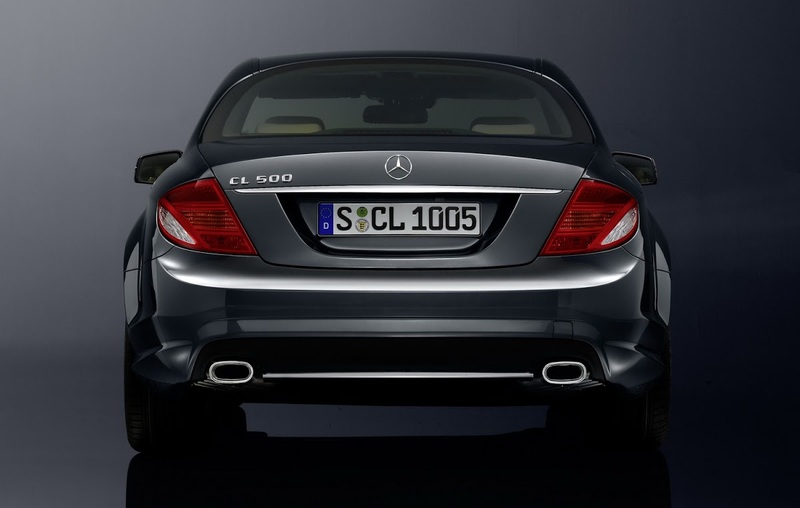 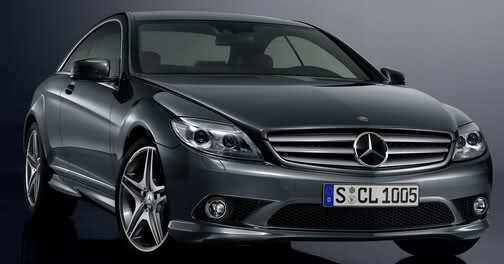 19% German VAT) or about $23,100 US – and that of course, does not include the price of the CL500 / CL500 4MATIC.